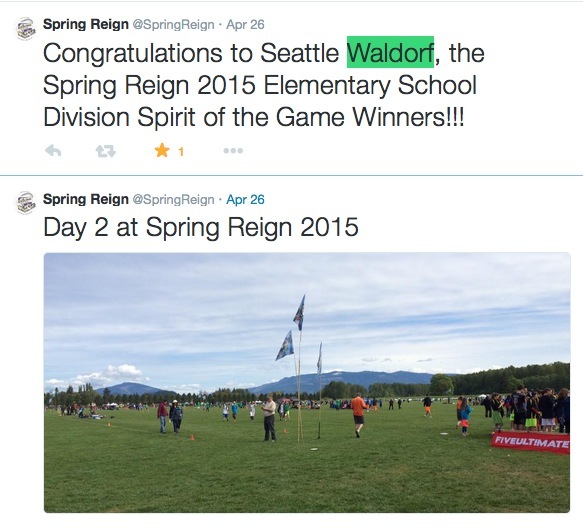 This last weekend, Waldorf United not only were the spirit champions at Spring Reign 2015, but also placed 2nd in the playoffs! The team of Seattle Waldorf 5th graders is coached by David Steiner and Jan Harris. 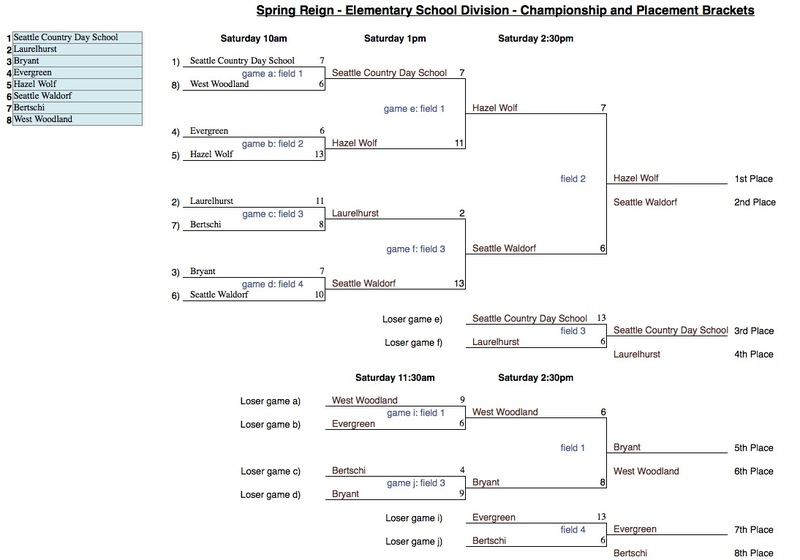 An earlier Tweet announced that Hazel Wolf’s team were the skill champions (maintaining their Champion status from Spring Reign 2014), beating Seattle Waldorf in a very close game (7-6). They had previously beaten SCDS (11-7) and Evergreen (13-6). The elementary team from Hazel Wolf (K-8) is coached by Jamshid Khajavi and Lori Frey Butler.